Thank you for joining us on the first day of our June Design Team Blog Hop! This blog hops theme is using Tsunami Rose Designs Printables from Daisy's shop. Please join us today and tomorrow as we both show case the sketch-of-the-day and one of Daisy's wonderful creations. 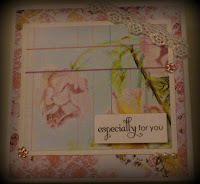 I used the Vintage Rouge White as my backing and used the Vintage Country Flowers as my focal point. I kept it simple with a bit of lace from my stash and some diamante flowers and a few tiny pearls. 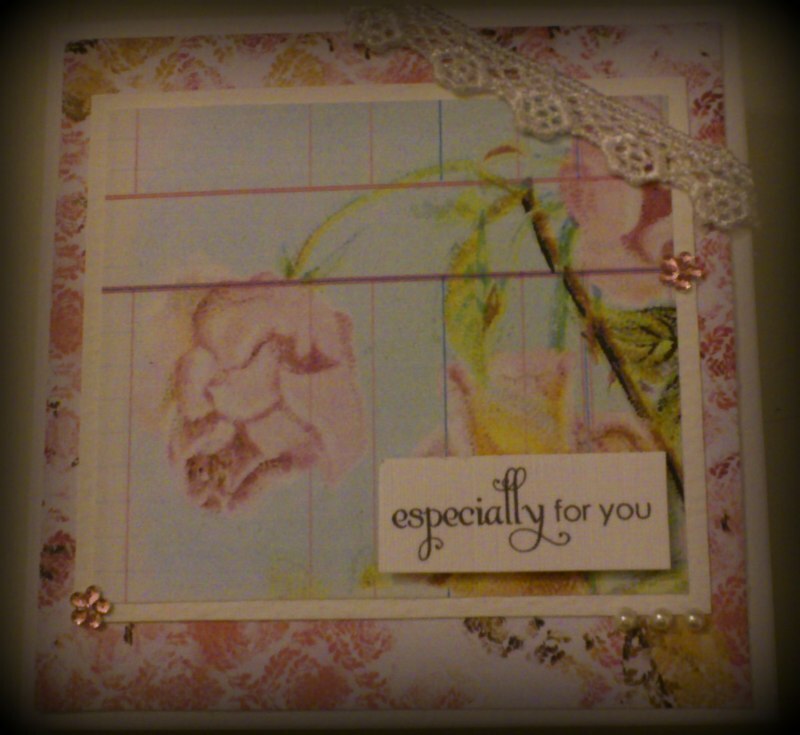 I think it's a very pretty card and will definitely use this sketch again - it's so versatile! Please join us tomorrow as well! What a great card. I love vintage and you nailed it. Thanks for sharing. The simple layout is perfect for your focal point on this card. Beautiful! !